BIOASTER, the French Technology Research Institute for Microbiology and Infectious Diseases, said today it will partner with Bio- Rad Laboratories and Genetic Analysis to develop novel microbiome-based diagnostics for metabolic disorders, through a collaboration whose value was not disclosed. BIOASTER said the collaboration presented an opportunity to combine its deep and 16S-targeted sequencing technologies and data analysis pipelines for highlighting new gut microbiome biomarkers with the research and clinical diagnostic expertise of Bio-Rad, and the microbiome molecular diagnostics development know-how of Genetic Analysis. The partners plan to examine gut microbiota signatures for diagnostics. Genetic Analysis agreed to supply and distribute its GA-map clinical test for gut dysbiosis through Bio-Rad under an agreement signed in November 2016. At the time, Bio-Rad agreed to make an undisclosed equity investment in Genetic Analysis in exchange for commercialization rights in certain territories for the GA-map technology. The companies extended their agreement in December 2017 to include additional microbiome tests. The GA-map Dysbiosis Test, launched in 2013, is designed for diagnosis and management of irritable bowel syndrome and inflammatory bowel disease. GA-map technology is marketed to three market segments: commercial routine testing, pharma companies and the research market. “As more and more links are discovered between the human microbiome and immune status, the need for accurate biomarker-based tests becomes pressing,” added Ronny Hermansen, CEO of Genetic Analysis. “Genetic Analysis and Bio-Rad have a strong track record along with considerable experience in developing and bringing innovative diagnostic tools to market. We look forward to working with BIOASTER on this very interesting project”, he added. Developing diagnostics is one of four areas in which BIOASTER aims to apply research. The other three are identifying antimicrobial candidates, improving vaccine safety and efficacy, and uncovering new prophylactic, diagnostic and therapeutic strategies for microbiota. 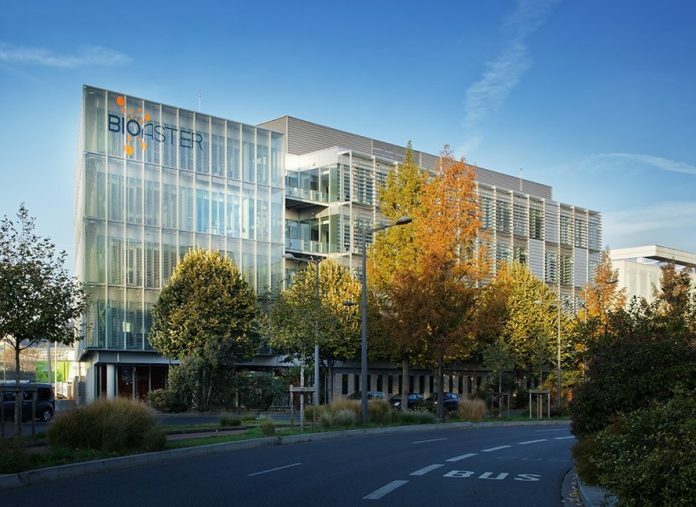 BIOASTER, an independent non-profit organization, is one of eight French Technological Research Institutes (IRTs), public-private innovation campuses supported by France’s government with the goal of advancing innovation and revitalizing the nation’s manufacturing and services industries. BIOASTER was created in 2012 by the Paris Institut Pasteur and the Lyonbiopôle competitive cluster serving France’s Auvergne Rhône-Alpes region.